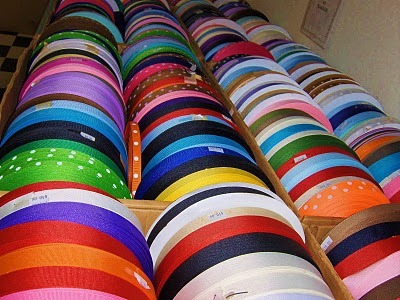 Although stain and organza are beautiful, I love grosgrain ribbon. Characterized by it's ribbed appearance, grosgrain ribbon is beautiful and strong. It's strength makes it resilient enough to be used in belts, bags, household items, and clothing. Pink Striped Grosgrain Ribbon Napkin Rings from Social Couture add a casual preppy flair to any table scape. I actually purchased mine a while back on One Kings Lane during a Social Couture flash sale. The Grosgrain Shower Curtain from PB Teen is a fun pop of color. 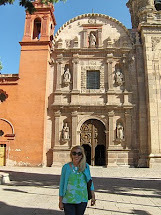 I love the crisp white fabric against the turquoise ribbon. 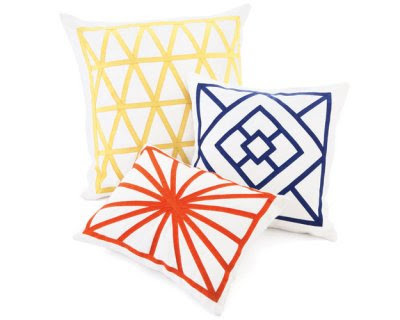 The Jonathan Adler Positano pillows in crisp linen and bright grosgrain ribbon add a pop of color. I love the idea of mixing and matching the different colors of the pillows. 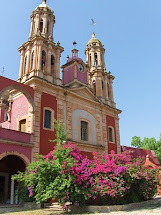 Using all of the colors is a great way to tie a color story together or add detail to a beige or neutral colored room. Although nothing can top my ribbon dress or skirt from last year's collection at J. McLaughlin, Anthropologie's Grosgrain Trimmed Button Down Shirt is an excellent choice for every day. Wouldn't this look fantastic paired with white jeans? Grosgrain is everywhere in my minnies' wardrobe! They both adore grosgrain headbands, but these J. 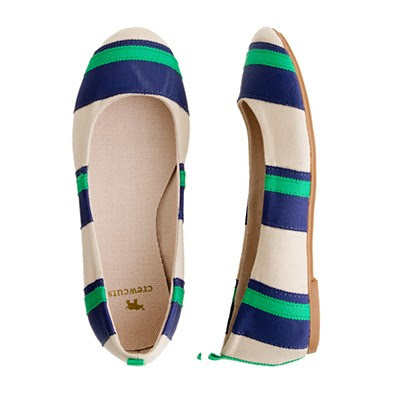 Crew Double Stripe Flats for girls are the current grosgrain favorite. The delicate flats are oh so ladylike and oh so grown up for my young ladies. I love children's clothing that is elegant yet classic, and age appropriate. These shoes fit the bill perfectly! My first grosgrain was a D-ring grosgrain ribbon belt a long, long time ago. It's good to see that good style never goes out of style. Here's the latest in grosgrain belts from J. Press. The polka dots are perfect! 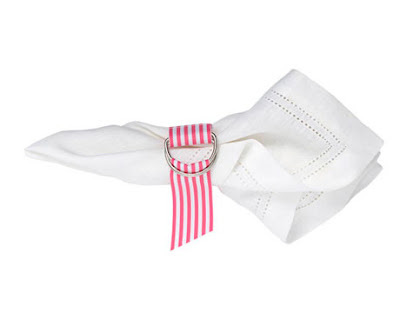 What are your favorite finds with grosgrain ribbon? I actually started my business making ribbon belts for my son :) and now they are our number one seller! I have always been a fan of grosgrain. The women in our family has always pronounced it "growgain". I'm not sure if that is correct, but that's how we pronounce it. I miss the Garland cardigans and the Dean Cardigans that had a grosgrain placket down the front. I love it. I used to use it for belts on our children's dresses and I was just thinking that I want to do that again.